Do you need a foolproof way to keep the attention of your busy, sensory-demanding little ones that doesn’t involve screen time? How about an activity that’s engaging, fun, and sensory friendly? Seems like a tall order. What if you could achieve that lofty goal without even taking a trip to the store? I know it seems impossible, but we have three fool-proof DIY sensory play recipes that can all be made from pantry staples you already have on hand! Of all the toys and games in the world, these three goopy, crumbly, and stretchy recipes are ones we come back to again, and again. Bonus points for the opportunity for the kids to help measure and mix them up. With such a short ingredient list, it’s a cinch to let them help. 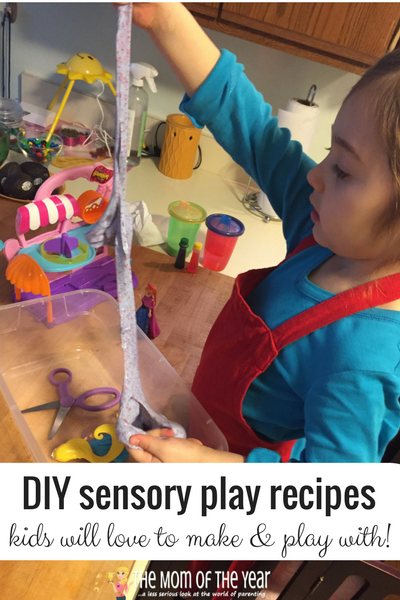 Raid the pantry and don your lab coat; fun is on the way with these sensory play recipes! 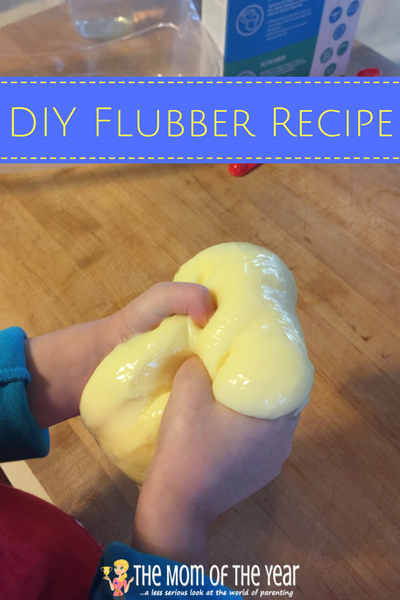 Snag the foam shaving cream from the bathroom, and grab the corn starch from the pantry to make this silky soft, yet moldable dough. Combine equal parts shaving cream and corn starch in a mixing bowl. Add a few drops of food coloring if desired. Mix well and adjust amounts if needed, adding more corn starch if too wet, and shaving cream if too dry. 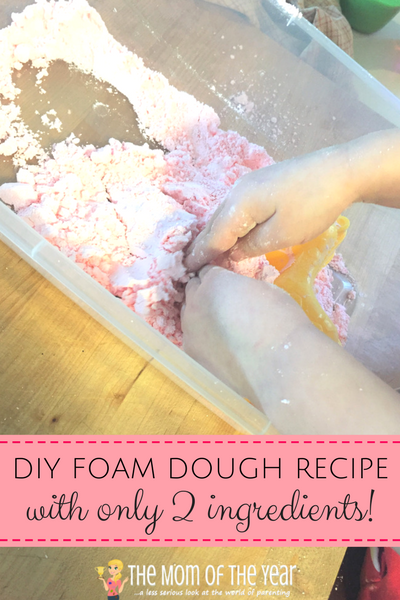 We loved playing with sand toys and molds with this dough. It keeps well in a lidded container and is easily cleaned up with a damp cloth! It vacuums up easily, too. A win! Mix 1 tbs warm water, glue and food coloring and glitter (optional) in a small bowl. 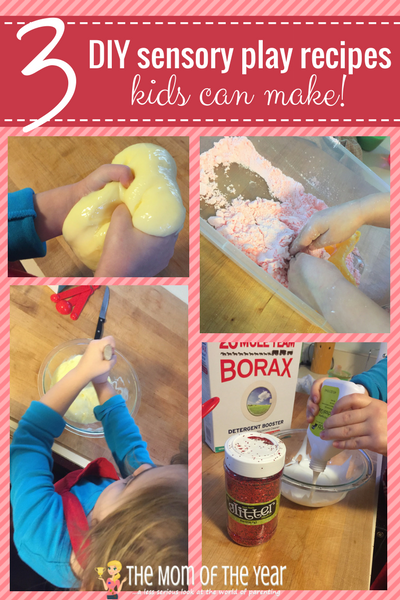 In a separate bowl; mix warm water and Borax until Borax is dissolved completely. Slowly pour glue mixture into Borax mixture, stirring constantly. Drain any excess water. Play! Just like the store-bought stuff, this is stretchy, goopy, and super-fun to play with! Adding glitter made it even more fun and the only true “no-mess” way to play with glitter that doesn’t leave it strewn around the house. Mix cold water, glue and food coloring (optional) in a small bowl. 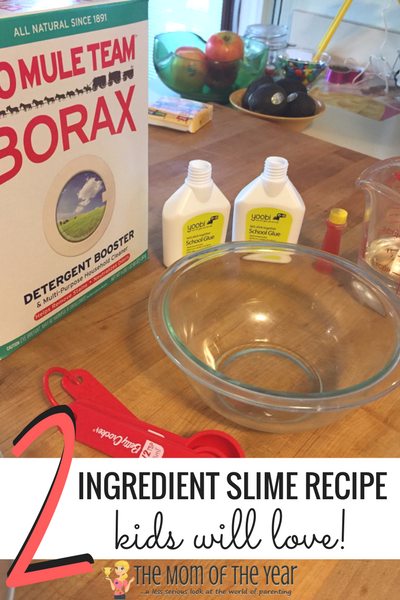 In a separate bowl; mix hot water and Borax until Borax is dissolved completely. Slowly pour glue mixture into Borax mixture, stirring constantly. Drain any excess water. Play! 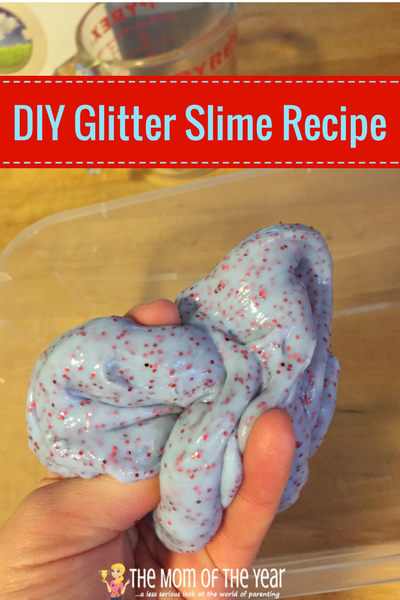 This one looks like slime, but is far more rubbery. It even bounces! It was super fun to cover up toys (to later unearth them!) with and to compress into different shapes. Little fidgety ones love to mold, squish, and stretch for hours, while older kiddos get a kick out of the scientific side of the this. Watching a solid and liquid turn into a non-Newtonian liquid is beyond cool. 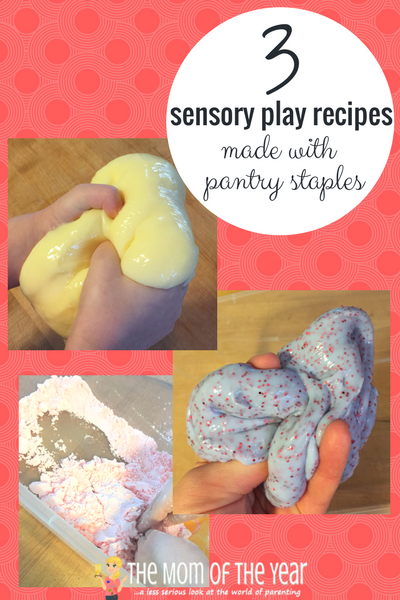 Grab those pantry staples, and let the fun begin with these sensory play recipes!